Where We Work « Operation Hope Inc.
Operation Hope currently works in Swaziland and Sri Lanka. Swaziland is a small, mountainous and landlocked country bordering South Africa and Mozambique, with an estimated population of around 1.2 million. Swaziland became an independent kingdom in 1968 with the last absolute monarch, King Mswati lll, as the head of State. The country is divided into 4 administrative regions (Hhohho, Lubombo, Manzini and Shiselweni), 55 constituencies (Tinkhundla) and 360 chiefdoms. 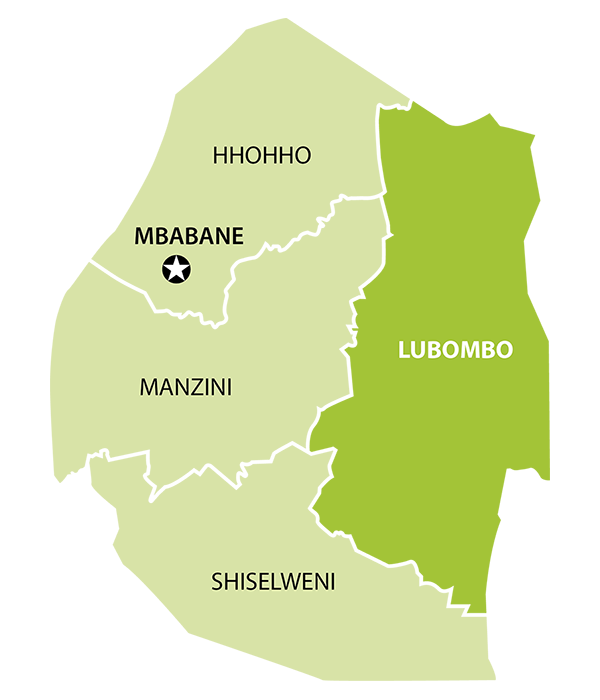 Operation Hope works in the Lubombo region. Over 79% of the population live in rural areas on Swazi Nation Land (SNL), their main source of livelihood being subsistence agricultural work (farming small plots, cultivating maize and keeping cattle). A decrease in agricultural productivity, repeated droughts, a decline in domestic and foreign investment and substantial food price increases have eroded the purchasing power of poor households, and reduced their access to food. The poverty ratio currently sits at a high 69% with many unable to meet basic food, education, transport and medical needs. Of these, 43% continue to live in extreme poverty. Lack of development and investment in infrastructure has made accessibility to basic amenities difficult. Many walk kilometres to get water or attend a health clinic, while some live in weather worn homes requiring urgent repair. Access to quality water both during rainy and dry seasons is also very low with only 55% of people in the Lubombo region with access to safe water and only 67% with household sanitation. Swaziland also finds itself as the epicentre of an HIV/AIDS pandemic with a 26% HIV prevalence rate, the highest in the world, predominantly among people aged 15-49 years, although it is also prevalent among children. Life expectancy at birth is only 46 years of age and an alarming one-third of Swazi children are orphans, increasing the percentage of child-headed households. In addition, Swaziland’s tuberculosis (TB) incidence rate is the highest in the world and 80 percent of TB patients are co-infected with HIV. Working with our in country partner Operation Hope Swaziland we seek to build individual and community capacity by addressing community health issues, exacerbated by extreme poverty, in vulnerable communities within the Lubombo region, particularly in the Siteki and Matsanjeni Tinkhundla (constituencies). Sri Lanka is an island situated in the Indian Ocean off the southern tip of India with an estimated population of 20 million. Administratively, the country is divided into eight provinces, 25 districts and over 300 Divisional Secretariat areas. The country has a parliamentary system of government, with an elected Parliament of Cabinet Ministers, presided over by the Executive President, who has executive powers. The provinces have their own provincial councils, headed by a governor, and elected representatives. 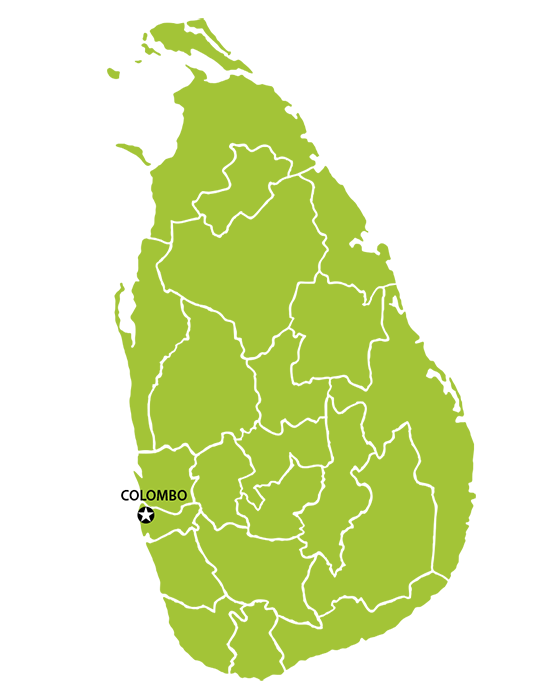 Ethnic groups are Sinhalese (74%), Tamil (18%), Moor (7%) and Burgher, Malay and Vedda (1%). Predominant religions are Buddhist (70%), Hindu (15%), Christian (8%) and Muslim (7%). Life expectancy is 73 and one of the most visible features of Sri Lanka’s age structure is the increasing proportion of older age groups. In Sri Lanka, both the public and private sectors provide health care through Western, Ayurveda, Unanni, Siddha, and homeopathic medicine. It is estimated that no one has to travel further than 1.4 km to reach a fixed health facility. Sri Lanka has done reasonably well in reducing poverty and maintaining low levels of income inequality over the years, its main poverty strategy involving free provision of health and education services to all. However, poverty is still a concern, with an estimated one-quarter of the population living below the poverty line: access to safe water and sanitation is inadequate; malnutrition and stunting remain high; and alcoholism, domestic violence, and child abuse are significant social problems. Tragically, Sri Lanka has suffered from two major setbacks in the past 20 years. One of these setbacks was and is the internal conflict between the government and the minority Tamil population. The second setback was the 2004 tsunami, which killed tens of thousands of people and destroyed the natural resources that many people depended on for their livelihoods. Sri Lanka is a country in transition. Its key challenge is to bring about social integration between the diverse ethnic groups in the North and East while protecting citizens’ rights and restoring effective and trusted governance in those parts of the country emerging from the conflict. Much development work is still required in the Northern parts of Sri Lanka, as returnees try to establish themselves once again. Immediate food security and income needs are a priority, as is helping communities to work together to lay a foundation for sustainable recovery. Operation Hope is working closely with our in country partner LEADS. Through our Operation Sister Act program we seek to help girls stay in school by training them how manage menstruation while challenging current myths that surround this time. We also train girls in health and how to stay sexually safe with child abuse a significant social problem. Operation Hope is also investigating how we might assist in the rebuilding work in the Northern parts of Sri Lanka.